« New Year, New Greenways? 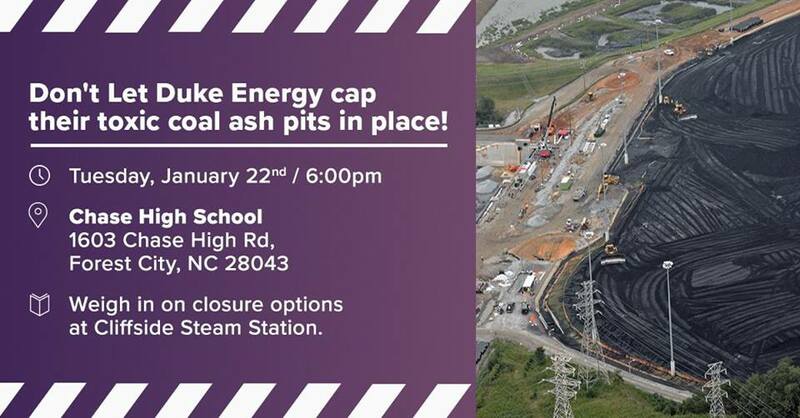 In January, the North Carolina Department of Environmental Quality is holding public meetings to help decide the final cleanup plan for six coal ash sites in WNC. Duke Energy’s current plan is to cap the ash in place and leave it be. Don’t let Duke “Cap and Run” from cleaning up its ashy mess. The communities around these six sites have suffered for years from exposure to the toxic heavy metals found in coal ash. Tell DEQ it must require Duke to fully excavate the coal ash at these sites, ending this toxic nightmare once and for all. Please attend and stand with us if you can.